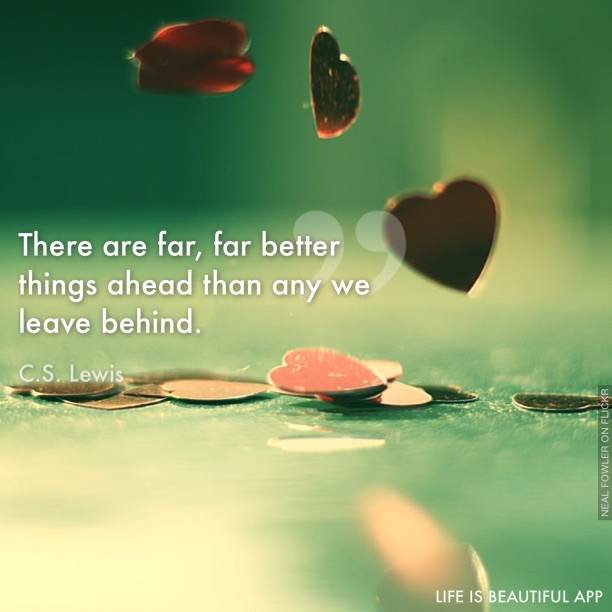 Have you spent any time to evaluate where you are in life? I mean really planned time out of your busy or non-busy life to sit down in the quiet and determine what experiences have brought you to this moment in time? Are you where you want to be or where you thought you might be by this time, by this age in your life? Do you often say to yourself I wish this, or I could have done this or recite the entire shoulda, woulda coulda routine? 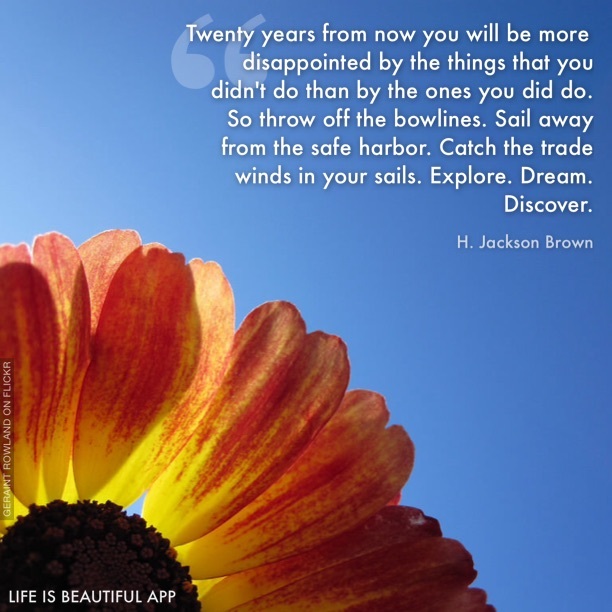 Do you harbor regrets???? Do you feel any of the following (5) five listed regrets fit you? They eat at you. There is no need to feel that way. It is unhealthy to harbor those feelings. You may disagree with me, yet; read on do not quit here. Life is a choice. It is YOUR life. Choose consciously, choose wisely, choose honestly. Choose happiness. The above 5 were shared from http://www.huffingtonpost.com/bronnie-ware/top-5-regrets-of-the-dyin_b_1220965.html. 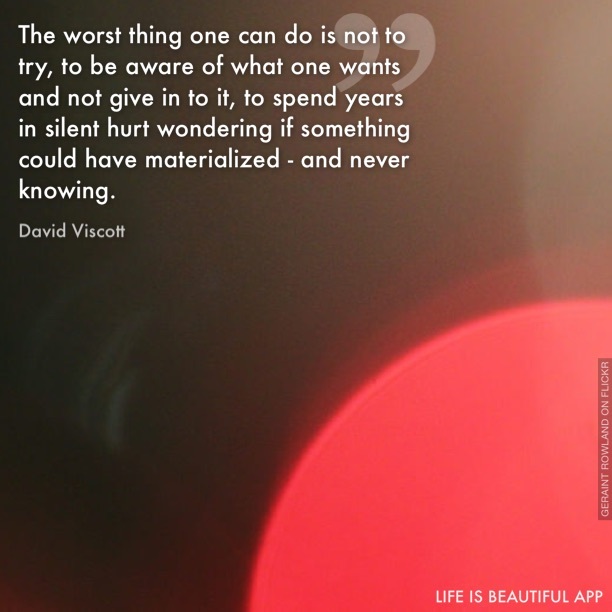 This post above was originally published on Inspiration and Chai. Forgive yourself right now and create a new plan for your future life, beginning with quiet time daily. 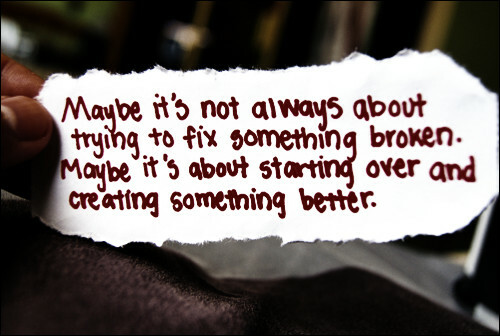 There is always a time to begin and that is now. It is never too late to begin a new. You may not meditate, or pray, or make time to sit quietly. 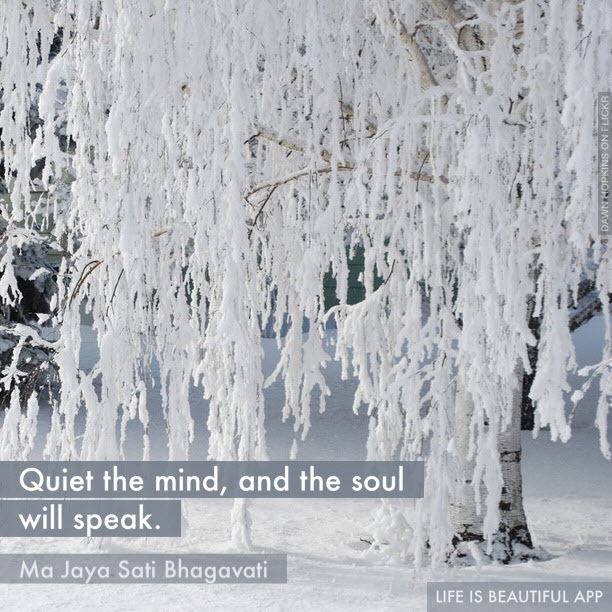 I had not meditated or made time to sit quietly until I began this #MKE course last fall. I always thought I did not have time for that stuff. I always thought I had a whole list of things I needed to get done. My friend has meditated for years. my daughter-in-law teaches yoga classes and I have heard the benefits of quiet time and yoga for years, but; I have not listened. When I started to sit 15 minutes each day, what a challenge that was. I thought of all the things I could be doing during that time. Gradually and I did not sit everyday when I started my sit practice and I am still a work in progress, yet the days I sit each week are a gift. I have learned to quiet my mind. That in itself is a gift. Here is a an explanation to help you get started. Write 15 minutes per day onto your calendar. Just a paltry 15 minutes out of a 24 hour day can help you live healthier and think more clearly to help you determine a new path for a new future you. Sit in a chair upright in same location each day. Quiet means quiet, no music, no other household chatter. Find a quiet location for your daily sit practice. Consider the path I am on. Jump into #MKE Master Key Experience. Do not feel sorry for yourself. Do something today. Do the above statements resonate with you? Do the above statements create an emotion that your life could be better? Do the above statements move you closer to create action? 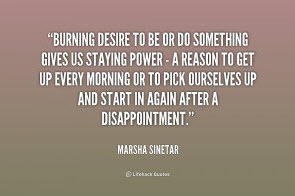 Do you agree by creating action to accomplish your burning desire you will also potentially leave a legacy? How do we define legacy? legacy, for something handed down from one generation to the next. A relative might leave a legacy of honesty and integrity. 1. Money or property given to another by will. 2. Something handed down from an ancestor or a predecessor or from the past: a legacy of religious freedom. 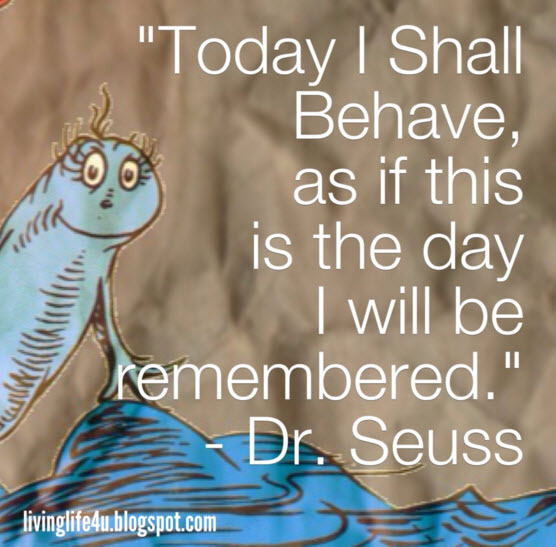 In this #MKMMA program we have been reading Og Mandino’s “The Greatest Salesman in the World” and we are currently finishing Scroll V which pushes us to consider this Scroll content: “I will live this day as if it is my last”. Have you ever made time to read obituaries in your paper? Read several this week and as you read them determine if this person lived the live they invisioned or just lived day to day. What do you want your eulogy and obituary to say about how you lived your life? If you were told this was your last day of life, what would you do today? 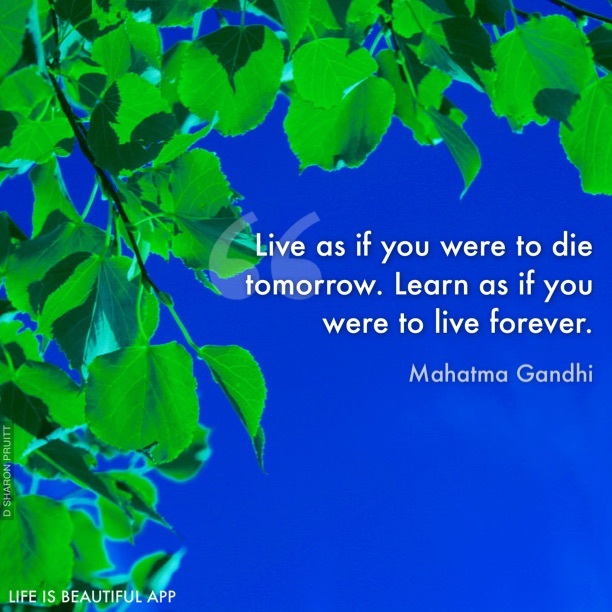 How would you live today? Og asks: “What would you do with this last precious day which remains in your keeping? One last day, will you waste time mourning yesterdays; misfortune, yeserday’s defeats, yesterday’s aches of heart?” You most certainly know that you cannot change yesterday and you have no control over tomorrow. So what does this leave you? Today is our day to excel. Today is our day to live our purpose and serve others. Today is our day to begin to create our legacy. There is still time to make a difference. Following our burning desire/purpose will include serving others and therefore the beginning of our legacy. I will persevere until I accomplish my burning desire/purpose in service to others. 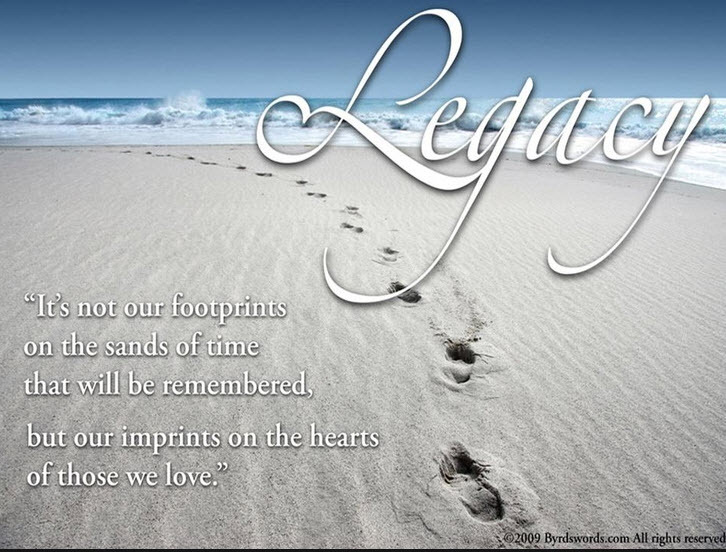 Are you interested in leaving a legacy versus just living day to day? Are you willing to make change and learn this process? I am living in the #MKE (MasterKeyExperience). I wish you would consider it. Do you really follow your burning desire at all times? Do I really follow my burning desire at all times? Well here I am in end of week 21 writing my week 20 blog? So what happened you ask? Well my candle began to burn less brightly this past week. Life, incredible busy project for my business, working day and night and all weekend to get it finished, blame it on not being a good multitasker…but did we not learn that multitasking is not a positive trait to utilize? The bottom line is I did not plan well and I gave in to my old Blueprint of old thoughts and ways of functioning. What happened to my WPOA (written plan of action) or my FRI OATS? The answer I gave in to my busy…ness. The old blueprint took over saying I did not have time for everything and the old habits of allowing myself to be overwhelmed versus sorting out and planning the work list better. Whew…an honest answer. I guess it is time to forgive myself. 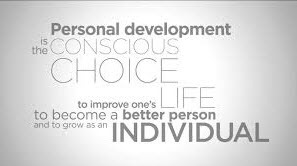 When we were first intoduced to this #MKMMA self-development program we learned about ‘Desire’ and the young man Barnes who went to Edison to state he wanted to become a business associate. Would you have had the guts to do that? So where is my burning ‘Desire” well the candle dimmed abit this past week. Did not read ‘The Gal in the Glass’ every night. Thought I was to overwhelmed with work, energy drained and on and on with the excuses. We, and I, did learn that ” to win the big stakes in this changed world, you must catch the spirit of the great pioneers of the past, whose dreams have given to civilzation all that it has of value, the spirit which serves as the life-blood of our own counry-your opportunity and mine, to develop and market our talents.” Did not Columbus follow his ‘Desire’ of finding an Unkown world? Did he give in to being too busy or too tired? Henry Ford, poor and uneducated, dreamed of a horseles carriage, went to work with the tools he possessed, and we know where this story ended. Thomas Edison dreamed of a lamp that could be operated by electricity, and despite more than ten thousand failures, he stood by that dream until it became reality. Did he say he was too tired? And I named my new business: Pioneer Spirit Marketing as I grew up in North Dakota on a farm. I choose this name before I had heard of #MKMMA. Little did I know that I would learn what this name I choose really meant for me. And I also learned that I forgive others and myself. This week I forgive my self and start again. My flame for my burning desire is burning bright. 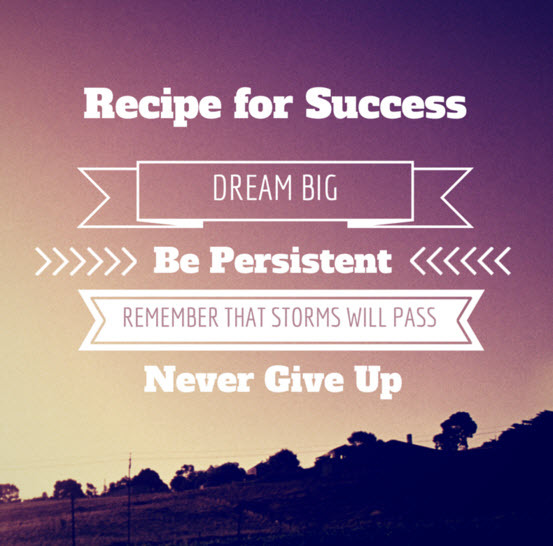 My storm will pass and I will be persistent. 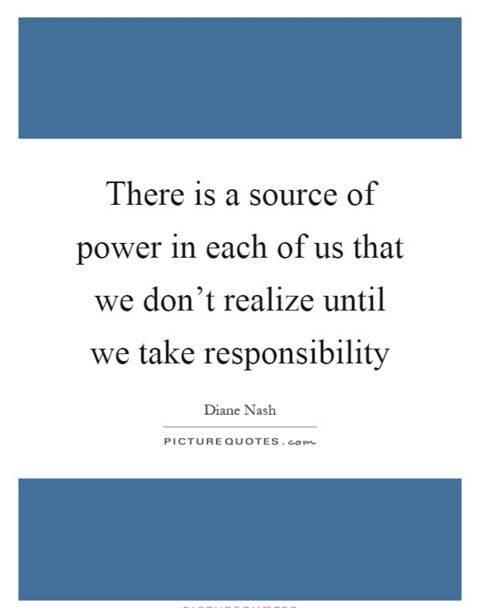 Today we will be talking about personal power. 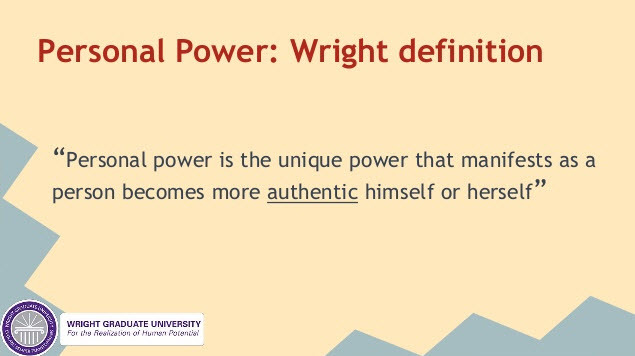 What is this power and how do you define personal power? Do you feel you have power? Have you claimed your personal power? Do others applaud your demonstration of personal power? Do you view personal power as positive or negative? Do you still have time to claim your personal power? Take a moment to write out your definition of personal power and what having this power means to you before reading this blog. The following is an excerpt from an Ethics article about personal power. → baron , big businessman , business leader , king , magnate , mogul , top executive , tycoon (notice the use of businessman and not the inclusion of businesswoman-we will use this term to mean either gender here) There is still today a stigma about powerful women and girls. Sharing my belief we do need equal gender opportunity and acceptance worldwide and this is a blog for another day. Power is an English logical construct referring to a variety of ideas relating to ability, capacity, authority, and might/strength. In human relationships, power is the authority one person holds over another often translated “power” in the King James Version but it is almost always translated “authority” in modern versions. a. Paul develops the motif of divine power as the key to Christian living by noting that unless the believer is empowered, it is impossible to please God (Rom. 6-8; 1 Cor 15:56-57 ) b. Peter also utilizes the concept of power to image the Christian life as an empowerment from God. Second Peter 1:3 states that “His divine power has given us everything we need for life and godliness.” The context views this power as channeled through knowledge and virtue. Peter does not view this power as passive, but as the foundation and motivation to pursue a circle of virtues (Peter 1:5-9 ) that produce and evidence productive Christian living. power (over somebody/something) The aim is to give people more power over their own lives. b. power (to do something) He has the power to make things very unpleasant for us. To have somebody in your power. Her father had died recently, she loved community involvement and ran for student body president and won. And then…a female teacher from another classroom asked if she could see her in the hall. She said: “I excitedly went to speak with her, thinking she was going to congratulate me on my high achievement, only to be told that my winning had made my friend, and presidential opponent in another classroom, sad, and that I needed to apologize. Which I did. I was just a kid and adults were right, so I must have done something wrong. I believed the teacher and apologized for something I never should have. From that point on I associated my winning or my success with guilt or shame. I was taught instantly that if I was shining too bright, it was at the expense of someone else. That lesson has been taught over and over since then, in my life and I still see it taught especially to little girls.” Have you experienced this in your life? Do you feel power is not something acceptable for girls or women? As a man do you struggle with accepting that you are powerful? How do others interact with you when you share your innate power? You do not have to live your life by someone elses definitions of who they think you are or how they think you should act. You can begin a new life. 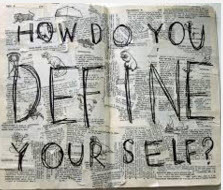 #MKMMA will help you define your own blueprint and understand and accept your personal power. 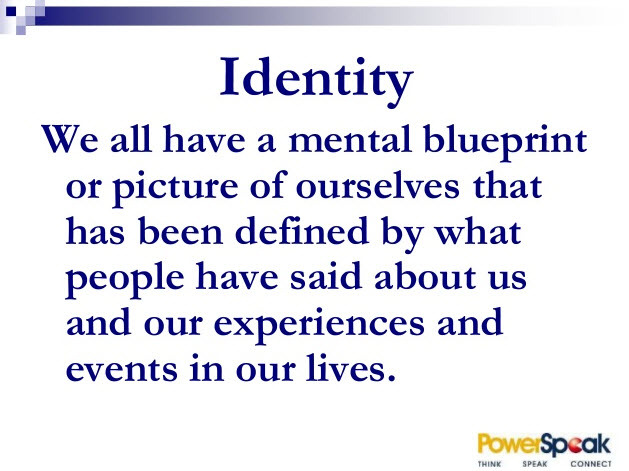 In our MKMMA course, we have learned to define our own personal blueprint to live by as well as our personal power. We are reading Og Mandino’s The Greatest Salesman. In the Scroll Marked V states “I will live this day as it if is my last.” He asks: “Can I relive the errors of yesterday and right them? Can I call back yesterday’s wounds and make them whole? Can I become younger than yesterday? Can I take back evil that was spoken, the blows that were struck, the pain that was caused? NO. 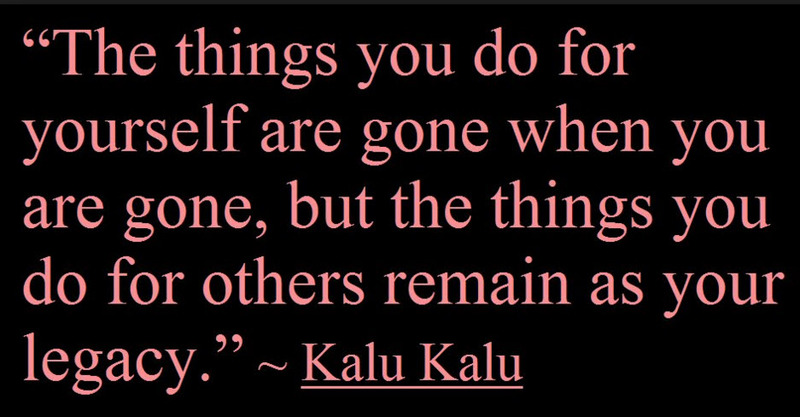 Yesterday is buried forever and I will think of it no more.” During our MKMMA week we read obituaries and read about individules life stories and those that may have wanted to accomplish more, if given the extra time to live on earth. What would you do if you knew your last day was at hand? Do you have a sense of your personal power? I ask again. Have you claimed your power? Are you ready to make each minute of today more fruitful than the hours of yesterday? Will your last be your best. Week 18: Do you love yourself? Do you give yourself permission to like yourself? To love yourself? If you do not like yourself or love yourself, who will? 3. I believe anything is possible; I see opportunity when others see impossibility; I take risks. I’m focused. I hustle. I know that nothing is unrealistic; I feel overwhelming love; I embrace my childlike wonder and curiosity; I take flying leads into the unknown; I contribute to something bigger than myself; I create. I learn. I grow. I DO. I believe it is never too late to start living a dream. I AM an entrepreneur. My Love, My Heart, My Talents, My Energy, My Creativity, My Faithfulness, My Resources and My Gratitude. I commit all of myself to the role you have assigned me in the building of your church. And I will ‘bring it’ today. I will bring my best! You deserve it. All those I meet today deserve my best! Your church deserves it! It is the Hope of the World. Do do you begin each day with love in your heart? Do you give yourself permission to love yourself and those around you? Do you believe you are nature’s greatest miracle? You need to say yes to these statements from Og Mandino’s book: The Worlds Greatest Salesman. If you read my blog recently and have not yet purchased this book, that is your personal assignment for tomorrow. Go directly to the closest bookstore and buy this book. Read each scroll 3x per day for 30 days then go onto the next one and repeat the process. Do you know what your purpose is on this earth? Being wealthy is not a bad thing. As you read the statement from Thoreau above, we all know that money is a common demoninator that is a daily requirement for living. And having wealth or at least some money helps us to feel good about ourselves and therefore like ourselves as well. 6. Research Fact: Positive people are happier, healthier, more productive, and more successful. 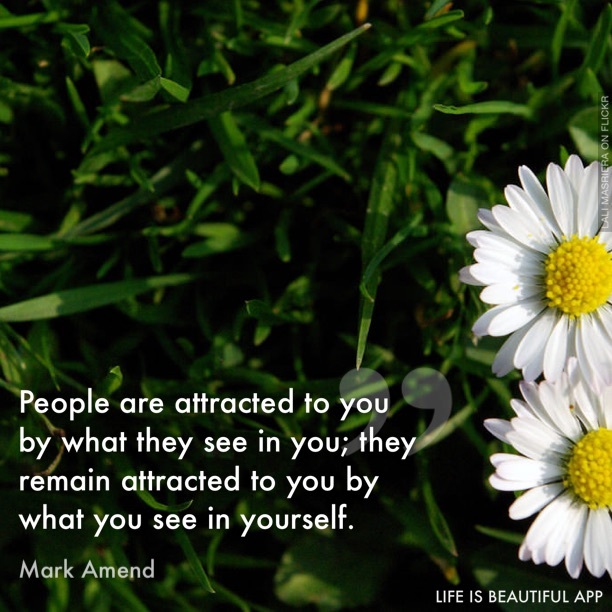 Do you feel deep inside that you are a positive individual? You can change that you know. Start feeling good about your self today. Use the power of substitution: You can change any thought you want to a postive one. Do you ever have a negative thought? Huh? who hasn’t? Have you ever participated in a diet? WE all have at one time in our lives. Well, I bet you have not done this diet. This is the most important diet of all times. Read about this 7 day diet here: http://masterkeymarkj.com/the-mental-diet-would-be-so-easy-if/ Buy this little book by Emmet Fox: 7 Day Mental Diet or since we are in the digital age.. google it for a youtube video or order it from Amazon. We all need this diet. Being positive has alot to do with whether or not we like ourselves and/or love ourselves. 7. Charlie Chaplin stated: “You have to believe in yourself, that’s the secret. Even when I was in the orphanage, when I was roaming the streets trying to find enough to eat, even then I thought of myself as the greatest actor in the world. I had to feel the exuberance that comes form utter confidence in yourself. Without it, you go down to defeat.” He kept a positive attitude even in his darkest days. He learned to believe in himself and like himself at a young age. If Charlie could do it, so can we. An excerpt from the following blog: ” I wake up and say….this is one of the 4 tiny habits, a positive mental attitude from within.” I am living in the #MKE (MasterKeyExperience). I wish you would consider it. You are nature’s greatest miracle. I want you to feel it deep down in your soul. “Learning how to love yourself is a key ingredient for happiness. Self love is at the very core of wellbeing, joy, self-empowerment, and our ability to enjoy the kind of life we want. Even if you had everything else in your life exactly the way you wanted it, you wouldn’t be able to enjoy it if you weren’t at peace with yourself. Besides that, every relationship you ever have with someone else exactly mirrors one or more aspects of the relationship you have with yourself. What Are The Effects Of Not Loving Yourself? Not knowing how to love yourself can be severely debilitating. At the very least, you’re plagued by indecision and self doubt. In more intense cases there is depression and self hatred, which cripples you in every area of your life. Self-focused negativity obscures our awareness of our Oneness with Life Force, our connection with all that IS. Until you know how to love yourself there will be an inner mental war going on within that creates the experience of dividing your energy and sabotaging your efforts to enjoy life. 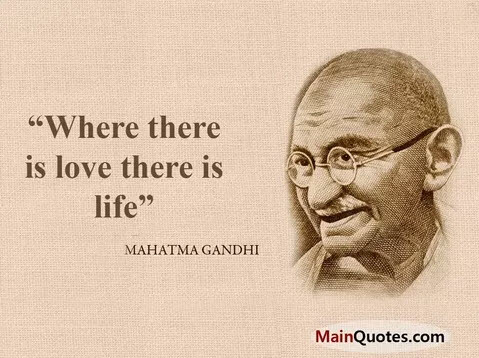 You are a loving person. You are natures greatest miracle. Give yourself permission to love yourself. Begin loving yourself and your life today. Week 17: Refuse to Quit? Today is a new day. Dawning full of beautiful skies, much excitement and wonder filled with possibilities and potential. I am blessed to be able to experience what you offer me today. Thank you God for this awesome world. Have I ever told you how much I appreciate what you do offer, not just for myself but all individuals? You open the door to an endless array of possibilities. We only have to step forward in faith and follow our dream path. I am excited about this journey. Yes, I know somedays I am less than grateful and I know there are others who are also not happy campers at times. My Mother always told me the sun will come up again tomorrow. Leave your worries with yesterday and begin anew tomorrow. Do not quit on yourself, she would say. 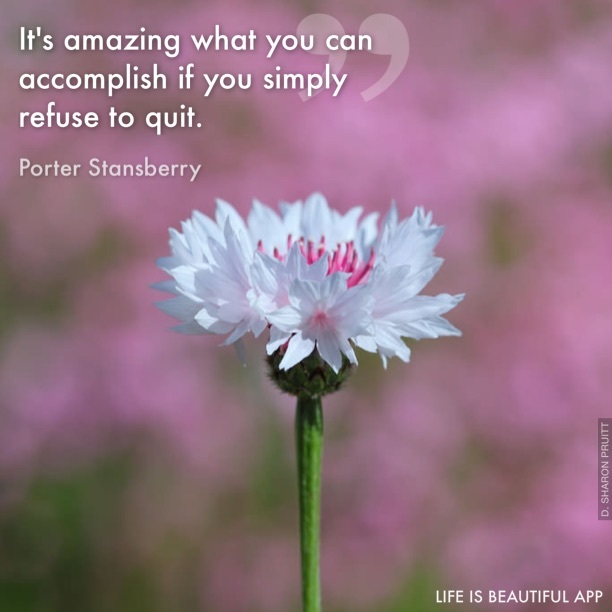 We have all grumbled sometime during our lifetime such statements as: Life is a challenge. Life can be frustrating. Jobs are stressful many days. This project is getting the best of me. At my best I just get through the day. My kids are not doing their best. My relationships can use some help. Where did I go wrong??? In fact, I did not stray in the wrong direction…only a short time in my thoughts. Then my moment of frustration, sadness and ungratefulness are replaced by my generally optomistic disposition and I hear myself say…I can replace any thought with a new thought. Where did that come from? Oh, yes it came from the Seven Laws of the Mind that I am learning in the #MKE (Master Key Experience) and from my wise Mother. I am sure, world, you have heard many of us told, just do not quit and it will be okay. The Nike ‘Just Do It’ logo continues to be that proverbial ‘nudge’ for individuals everywhere – for those looking for a sense of empowerment and ability. It denotes success. On a side note: Did you know this swoosh has been around since 1971, where Ms Davidson was a student at Portland State University, where Nike co-founder Bill Bowerman was a legendary track coach, and co-founder Phil Knight was a young associate professor of accounting. Ms Davidson said she was sitting in a hall at the school, when Mr Knight happened to walk by. She said he overheard her mention that she couldn’t afford to take oil painting. She said: ‘He said if I’d like the job, he’d pay me so much an hour to letter some signs, for a side business he had. It started from there’. Mr Knight remembers that he had offered her $2 an hour, though he joked in 1983 that ‘I never thought she’d spend 17.5 hours on the project!’ She did not give up. And later in 1988, the statement ‘Just Do It’ was added by another marketing person. So, I regress. I think stories behind success are helpful and motivating. Ms Davidson said in a story that she struggled with many, many designs finding one that fit. She did not give up. Davidson’s work is a good example of how… every job, and how little jobs and efforts can ultimately pay off in very big ways. She did not quit. Google her and find out what her reward is today for not quitting. We have also learned from Og Mandino’s affirmations, but; not just a few sentences, his substantial explanations why these are such powerful thoughts. Here are a few: 1. Today a begin a new day. 2. I start each day with love in my heart. 3. I persist until I succeed. 4. I am natures greatest miracle. How can one quit with these powerful statements running through our head? Those of us living in this world…If you do nothing else today, go buy this book by Og Mandino: The World’s Greatest Salesman and read each scroll chapter daily for 30 days! This is your new beginning to live each day in our wonderful world. A new. Living in this world, a gift from God. I taught Confirmation classes many, many years and had my students make these plaques: What you are…is God’s gift to you. What you make of yourself is your gift…to God and others. Be a gift to all you meet. Do not give up, do not quit, do not pass go without your $200. Your are nature’s greatest miracle. You can do it, one day at a time. Just Do It. World, I encourage all individuals to check out this #MKMMA program. 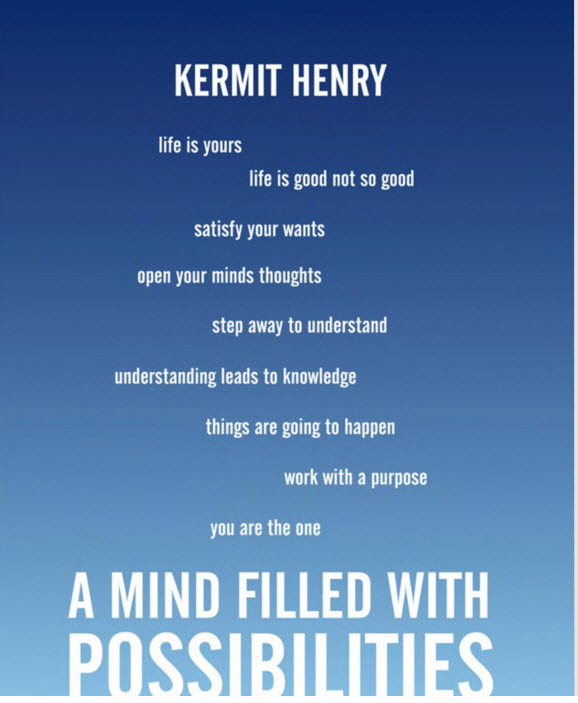 It introduces us to a new way of thinking and creating successful days from our new thought processes. We are grateful for you world and all you offer to each of us, a gift from God and a world of possibilities. We refuse to quit.